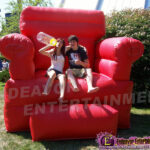 This chair is HUGE! 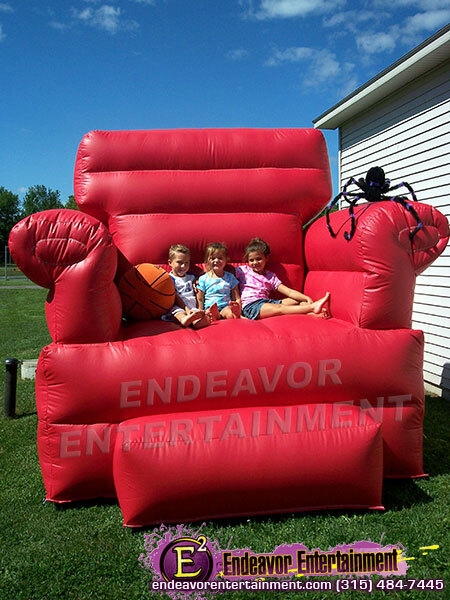 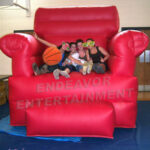 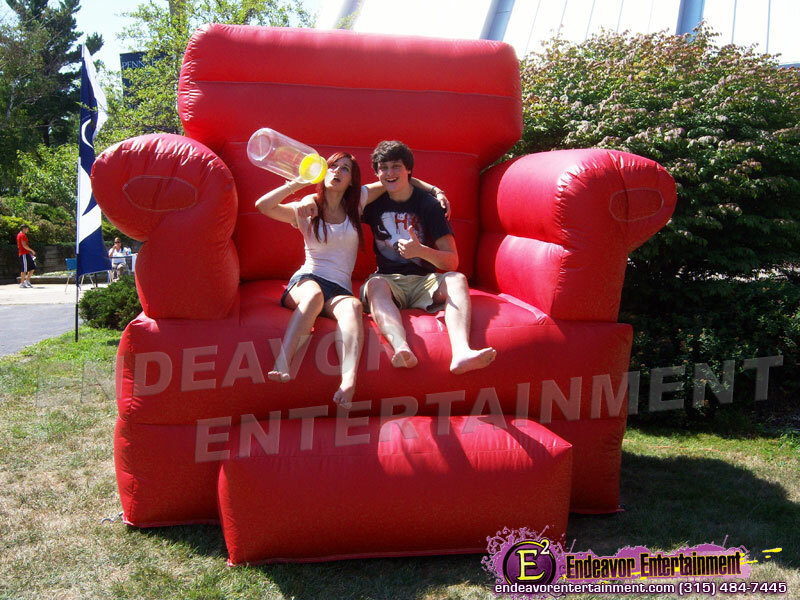 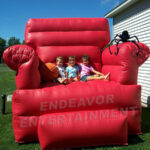 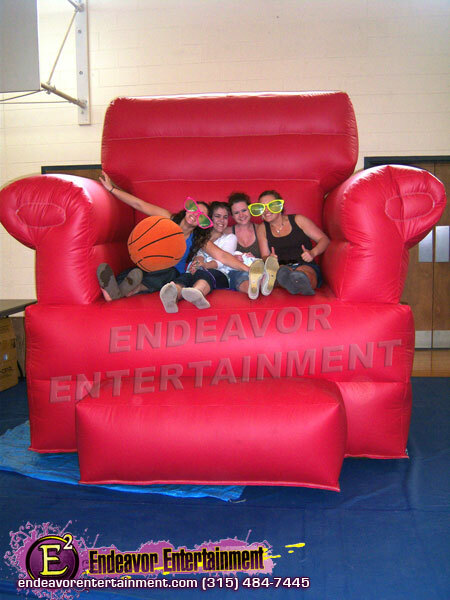 It stands over 8 feet tall and is perfect for 1 person to hop up in to have their picture taken or large groups. 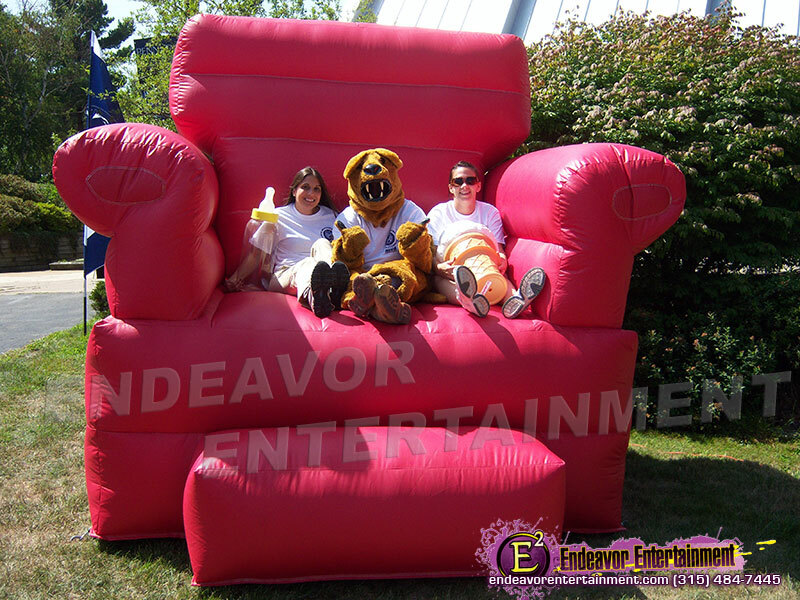 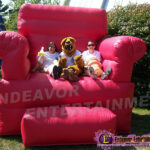 Endeavor Entertainment provides various props to be used in the photos and each person gets their own original photo.